Our diamond studs are designed, handcrafted and assembled all in the USA. 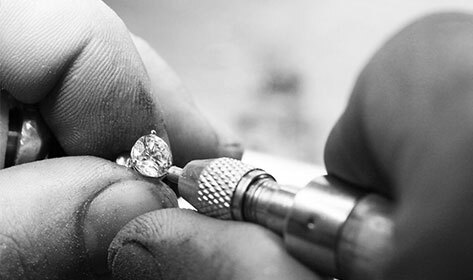 We have the entire process happening right here in front of us, from handpicking the diamonds by our expert gemologists to handsetting them by our team of skilled setters. This gives us complete control over the quality,craftsmanship and the finishing. We are able to work with quick performance, shorter delivery time, timelier inspections and a well-made earring, just how you had seen it on our website!